A playpen is an essential accessory for any home with a baby. Also known as a baby play yard, a playpen allows your baby to play in a more comfortable and secure environment. Although there are notable differences between playpens and play yard, they play roles that are pretty similar. 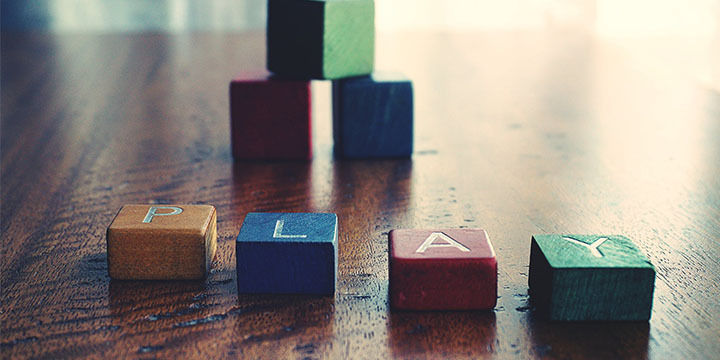 If you need some time to rest for a minute, clean the house, or make a call, you need a safe place where your baby can play or rest while you complete other tasks. For many moms or guardians, finding the best playpen allows them to do just that. In this post, we review 6 of the best playpens that you could consider if you want to acquire one for your baby. The items are ranked according to customer reviews and availability of important features. Baby playpen 8 panel is the best playpen for people looking to minimize distractions from a kid. With non-slip pads, the playpen works effectively on any floor without leaving scratches. This playpen is recommended for kids up to 4 years old. It features a waterproof design that makes it ideal for both indoor and outdoor use. It also comes with 8 high-quality panels that are brightly colored to give your baby a high-quality play time while inside the playpen. The Gupamiga baby playpen is specially designed with a rubber base to keep it standing strong on any type of floor. It is also the best baby playpen for anyone keen on safety and comfort. The anti-slip feature of the junction protects kids from the risk of being struck by the playpen. It features a fence high enough for the baby to stand and walk inside the yard comfortably while exploring around. With the bright colors and animations, the yard provides an eye-catching scenery that ignites in the baby a cheerful mood while you attend to other matters. Moreover, the materials used to make it are non-toxic and BPA free, making it safe for your baby’s health. Costzon Baby playpen is designed to control even the hard to control babies. 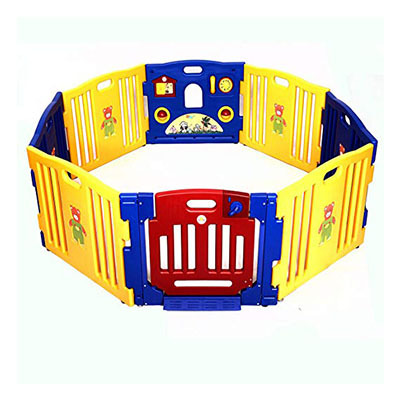 It features 8 panels that will keep your baby safe and secured. The 8 panels can also be adjusted into desirable shapes like square, rectangle, and octagon to give your baby the space they need. This playpen comes fitted with a bonus activity board that gives your baby a multi-sensory experience. The inbuilt interactive and visual toys encourage significant brain development of your baby. Spinning balls enable your little baby to enjoy playing alone for a while. Moreover, the rubberized suction cups provide a sturdy base to withstand sliding and pen movement once your baby is playing inside. Evenflo Play Space is specially designed for both outdoor and indoor use, and it provides a spacious and safe playing space for your baby. 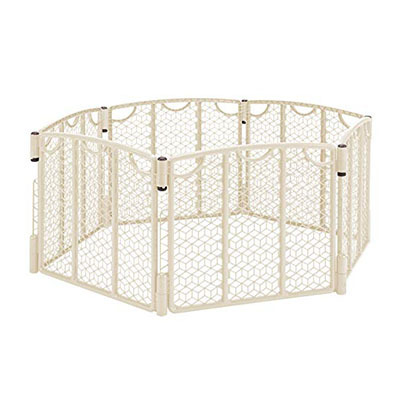 This is the best playpen for parents who prioritize safety because it comes fitted with adjustable stakes to purposely provide stability when erected outside and base pads for wooden indoor surface. 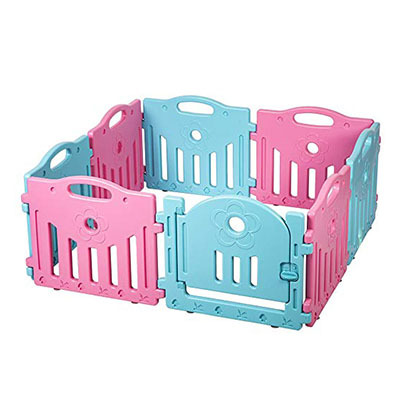 Featuring a unique hinge design, this playpen is very easy to set up and fold. To set it up, you simply connect together the joining panels. You don’t need any tool to fix it. You can also buy two extra panels if you need to enlarge your baby’s play space. This is the best playpen for anyone interested in a spacious playpen because its design allows easy creation of portable play space for the baby. 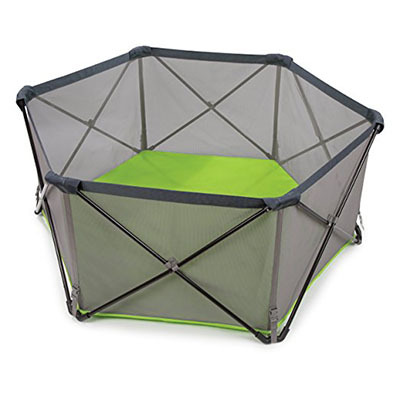 It is made from ultra-lightweight and compact materials that can be set up and folded in seconds, making it a perfect play yard for use at home and on a trip. 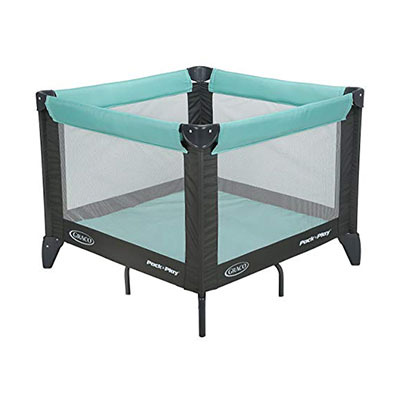 The playpen features a waterproof floor that keeps your baby dry even when set up on damp grass. Its airy mesh sides offer visibility so that you can see how your baby plays. Moreover, it comes with a travel bag fitted with shoulder straps for convenient carrying. Graco Company boasts of producing some of the best baby products in the world. The Graco Pack ‘n Play TotBloc portable play yard is one of such products. Emerging as the best playpen, it is specifically designed to give your baby enough space for playing. It has an extra-large space that provides a secure play space for your loved one. The airy mesh on all sides enhances air circulation while keeping your baby cool even during the hot summer weathers. Its door features a hidden latch for extra security. 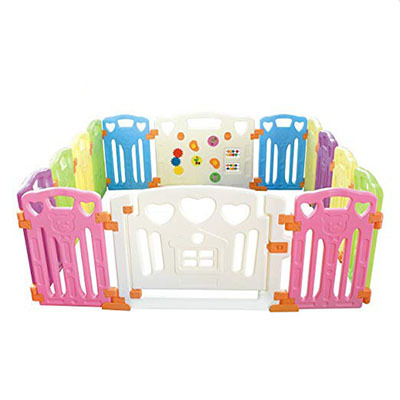 As you read the article, you get a chance to review different playpens and compare their different attributes. Once you are done reading it, you need to consider your preference, budget, the playpens’ capability, and other factors before you choose the best baby playpen for your baby. While you will be willing to spend an extra coin to guarantee your baby’s comfort and safety, you need to find a product that plays the intended role without necessarily breaking your bank. That’s why we identify Graco Pack ‘n Play TotBloc Portable Playard as the best playpen for toddler in 2018. Which of the playpens have you used? Share your thoughts and experiences with us.